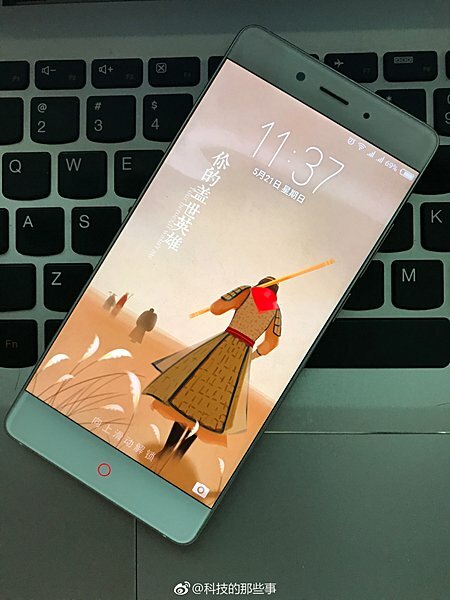 A new photo alleged to be of the ZTE nubia Z17 has leaked. It shows the front of the phone, and confirms very slim bezels. The red circle accent around the home button is also quite clearly visible. From what we've gathered so far, the handset is powered by Snapdragon 835 SoC, and sports a full HD display. RAM options include 6GB and 8GB, while internal memory will be 128GB. It features a dual rear-camera setup of 12MP, and runs Android 7.1 Nougat. The phone is also expected to be IP67 certified for water and dust resistance.